Lisa Campfield has built a remarkable career in design and construction based on her dedication to hard work and integrity. She believes that working in construction is the most gratifying profession, and truly enjoys seeing vision become reality. The distinctiveness of each project is what keeps her passion alive. Even when dealing with the same house plan, there is always something different about the home. She loves the whole process, from preliminary planning through final execution. Prior to joining her husband Allan at Homeworks of Alabama, Lisa owned her own interior design business, Space Appeal. She established a considerable portfolio of design work, but always felt conflicted working with other builders. Allan’s business was growing as well, and he needed her expertise more and more. They decided to close Space Appeal and merge their work together at Homeworks of Alabama. As co-owner and Design Leader at Homeworks of Alabama, Lisa touches every aspect of the business. The bulk of her time is spent guiding customers though design decisions and ensuring their vision becomes reality. She mentors the next level of leadership in the company, who also happen to be her sons – the Lead Project Manager and Operations Manager. She encourages them to mentor their team members as well. Lisa ensures quality standards are maintained and nurtures subcontractor and vendor relations. She believes the company must constantly challenge systems to be better. Her strengths are encouraging, communicating expectations and showcasing individual strengths within the team. Lisa Campfield is a member of the National Association of Homebuilders (NAHB) Professional Women in Building and NAHB 55+ Councils. Lisa is thrilled to be part of this national organization that is focused on women in the construction industry. 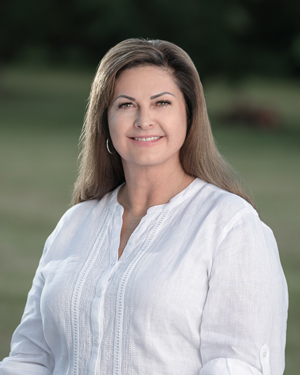 She recently wrote an article for the NAHB Building Women magazine and will attend NAHB’s Women in Construction conference in Scottsdale this coming fall, as well as speaking at a Q&A on the 55+ panel at the 2019 NAHB IBS show in Las Vegas in February. Family is Lisa’s most valuable asset. Her two sons work in the business and she couldn’t be prouder. Her youngest, her daughter, lives in Los Angeles and is her best friend. Allan is the president of the company and her soul mate. Always asked how they work together so closely, Lisa sees it very clearly. This family has an understanding that business and home, although intertwined, are separate. She is not a mother at work and not a boss at home. This doesn’t mean she is not a leader in both of these areas, simply that there’s a clear understanding of roles. Lisa Campfield attends Church of the Highlands. She loves to travel and see architecture and art all over the world, which feeds her love of learning new things. She has a precious granddaughter, Charlotte Grace, an indescribable joy who Lisa keeps every Friday and with whom she has an incredible connection.